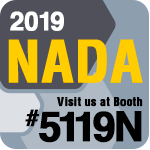 BG to launch new fuel service at NADA Show | BG Products, Inc.
WICHITA, Kan – BG Products, Inc., is launching an industry-leading profitable NEW fuel system service at the 2019 NADA Show, Booth #5119N. If you’re going to the NADA Show, add the BG Booth to your expo plan! The BG PlatinumTM Fuel System Service is just the latest in BG’s lineup of the highest quality maintenance services in the automotive aftermarket. the NEW BG Hybrid Performance Service tailored specifically to owners of hybrid electric vehicles (HEV). Industry expert Craig VanBatenburg will be available to discuss how dealers can stay relevant with hybrid owners and the profit potential of including hybrid maintenance in the service department. how the NEW BG Dynamic Engine Restoration Service can keep customers from defecting from dealerships once their warranty expires. This service allows vehicles with up to 150,000 miles to have engine and fuel system coverage up to $3,000 under the FREE Lifetime BG Protection Plan®. Find out how the core strengths of BG Products—products, people, process and profitability—can affect the bottom line in any dealership’s service department! BG is the leading provider of preventive maintenance products, which is why a partnership with BG is the best thing any dealership can do for their service drive. For a live feed during the show, follow @bgproducts on Instagram during a takeover from BG Proving Ground Shop Foreman, Tommy Garcia.